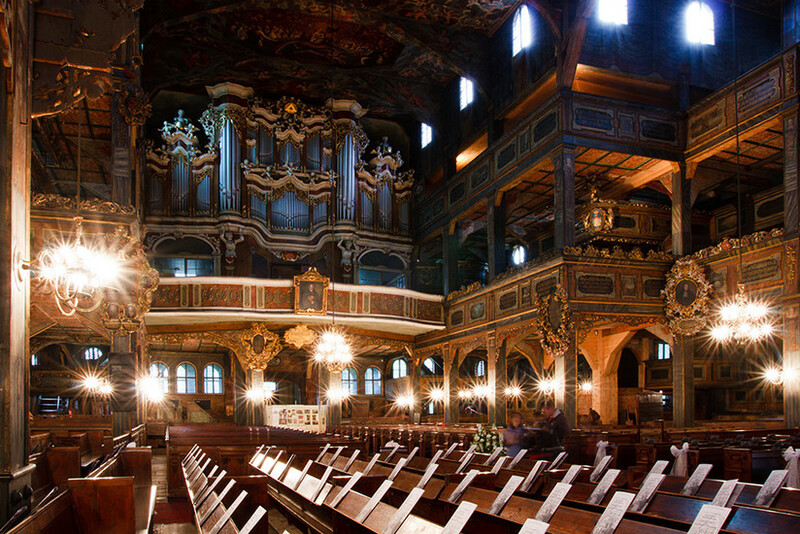 Given their role in helping define one of the most important peace treaties in European history, it is astonishing that so few people outside Poland and Germany have ever heard of the Churches of Peace. Indeed, the number of Germans and Poles aware of the existence and importance of these unique buildings appears to be fewer and fewer. 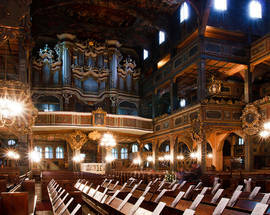 Even many locals of Wrocław – the nearest big city to the churches – appear to be unaware of their status as UNESCO World Heritage sites (a status gained in 2001). 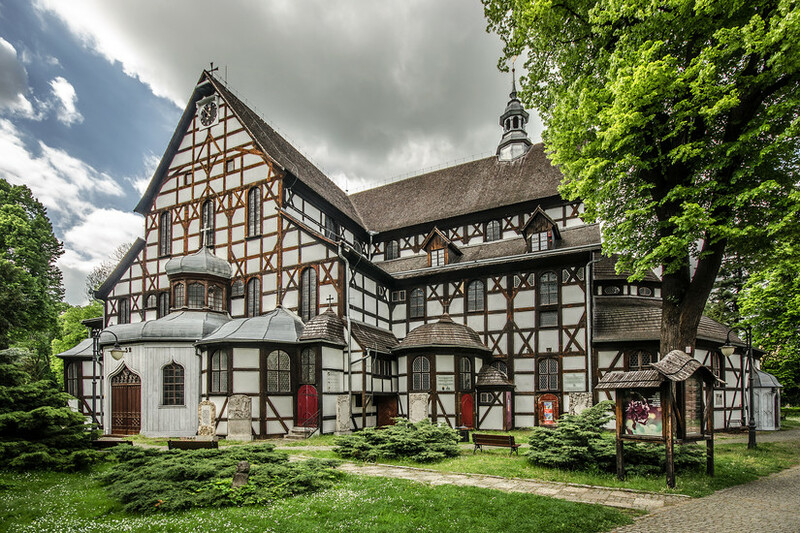 Though three Churches of Peace were actually built in Silesia (at Świdnica, Jawor and Głogów), the church at Głogów burned down in 1758 (it’s worth noting that foul play has never been entertained as a reason for the destruction of the Głogów church: it appears to have been a mundane yet tragic fire). The term Churches of Peace (in Polish Kościoły Pokoju) does not in this case refer to the pacifist Christian churches (Jehovah’s Witnesses, Seventh Day Adventists etc.) often referred to as the Churches of Peace or Peace Churches. 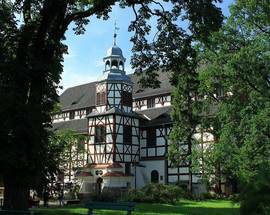 In fact, the Churches of Peace in Silesia would be better named Churches of the Peace, the peace in question being the Peace of Westphalia, the collective name given to two treaties that put an end to the most destructive and damaging war in early modern European History, the Thirty Years War (1618-1648). As such, any guide to the churches needs to be prefaced with a rundown on the events that led up to the Thirty Years War, its causes, its course, and its aftermath. We promise to be as brief as possible. Like so many wars involving the nations of central Europe, the key factors in the outbreak of the Thirty Years War were an Emperor who died without an heir (creating a disputed succession) and religion. Indeed it boiled down to another classic case of the authority of the state versus the authority of the church. In 1617, by which time it was clear that Matthias (1557-1619), Holy Roman Emperor, would die having failed to father a child, the two (Austrian and Spanish) branches of the Hapsburg family, which had for centuries supplied the Emperor, named Matthias’s cousin and closest male relative, Ferdinand II (1578-1637), as his successor. The Spanish king, Phillip III, was keen for Ferdinand (a devout Catholic, raised by Jesuits and vehemently opposed to the Reformation) to reverse the policy of religious tolerance and reconciliation that the Catholic yet relatively liberal Matthias had pursued. During Matthias’s reign as emperor the Reformation had flourished in many parts of central Europe, especially in Bohemia and Silesia - a result of his policy of allowing individual dukedoms and principalities to pursue religion on their own terms. Though Matthias was not to die until 1619, Ferdinand became de facto emperor at the end of 1617. One of his first edicts was to suspend all protestant church building on land the Catholic church claimed as its own (which in reality meant almost all land in the Holy Roman Empire). In retaliation, on May 23, 1618, a group of protestant Bohemian noblemen threw Ferdinand’s representatives in Bohemia out of a second floor window of Prague Castle. They landed in horse manure, deliberately placed below the window to soften the blow and harden the humiliation. Known as the Defenestration of Prague, the event to all intents and purposes started the Thirty Years War, with Bohemia – and Silesia with it – declaring open revolt on the Empire. For the next three decades war raged across much of Europe, embroiling - at one stage or another - every great European power: France, Denmark, Sweden, England, Spain, the Netherlands, Austria, Bohemia and the Ottomans. All allied themselves with either the protestant armies opposed to the emperor, or with the Empire itself. Yet this was no simple religious war. Catholic France, for example, which was attacked from within by French Hugenots (protestants) in the 1620s, was opposed to the Holy Roman Empire and to Spain, its rival for hegemony in southern Europe. Yet it was French intervention – as well as that of protestant Sweden – that created the conditions for the end of the war in the mid-1640s. Indeed, there had been talk of peace since 1637, when Ferdinand III succeeded his father as Emperor. Having been a military leader himself, Ferdinand III was appalled at the great human cost of the war and on taking the throne had immediately sought to make peace with France and Sweden. The war was to carry on for another 11 years, however, by which stage Sweden was the dominant protestant power in Europe and the destruction of many parts of central and northern Europe was total. Even the peace negotiations lasted an inordinately long time (almost a year), as the French and Swedish delegates on one side, and the Habsburgs on the other, refused to meet face to face. The French and Swedes were based at Osnabruck, the Habsburgs at Munster - 80 kilometres away; a team of couriers ferried messages between the two. The war only ended with the Peace of Westphalia, formalised on October 24, 1648, when two separate yet complementary treaties - the Treaty of Osnabruck and the Treaty of Munster - were signed. The terms of the peace are far too complex for our purposes. In one city guide-friendly sentence, we can say that there was a trade off: what the Habsburgs lost in territory they gained in religious influence, and vice-versa. The states that emerged from the war were handed central control of religious matters: the brief age of religious autonomy for local princes, dukes and bishops was at an end. For protestant Silesia - which after the withdrawal of Swedish forces was once again an integral part of the Austrian Habsburg (and Catholic) Empire – the consequences were manifold. Primarily because Silesia had been under Swedish occupation for much of the war, its towns had been spared great physical damage. The population had not been so lucky. Some estimates claim that as many as two-thirds of Silesia’s population was lost to disease (mainly plague) and starvation during the Thirty Years War. Wrocław lost half of its population. So great was the human cost that population growth in the region was stunted for two centuries afterwards: it only really began to recover in the latter part of the 19th century. 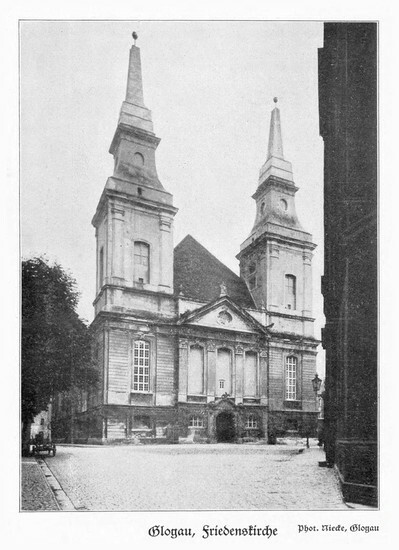 Though the Habsburgs allowed Wrocław to retain its religious privileges and to remain a protestant town, throughout the rest of Silesia they quickly began to evict protestant priests, confiscating their churches. 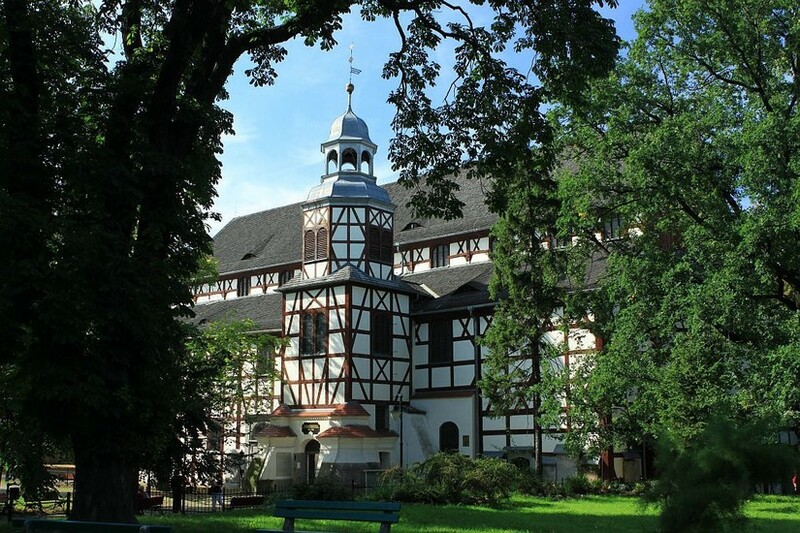 However, Swedish diplomats had inserted a clause into the Peace of Westphalia that granted three Silesian towns - Świdnica, Jawor and Głogow - the right to retain a protestant church, provided it was built beyond the city’s walls, and that the Emperor personally grant permission. Obtaining this permission took years, cost a fortune in tributes, and required skilful diplomacy. Finally, in 1651, three plots – one in each of the three cities – were designated as suitable for the building of the churches, and Emperor Ferdinand III gave his seal of approval for the construction of the first, at Głogow. The first thing that strikes the visitor to either of the surviving churches is that they do not look all that much like churches. This - if you’ve been keeping up at the back of the class - was very much the point. The rules for their construction - as written into the Peace of Westphalia - were strict, and broken only on pain of death. Not only did they have to be built beyond the city walls, they had to be built of wood. They were not allowed to have bell towers or spires and they were to be paid for by the local communities themselves. 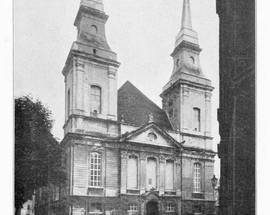 (As the whole of Silesia was still recovering from the ravages of the war, there was no money for construction: it was eventually raised by appealing to protestant communities all over Europe). 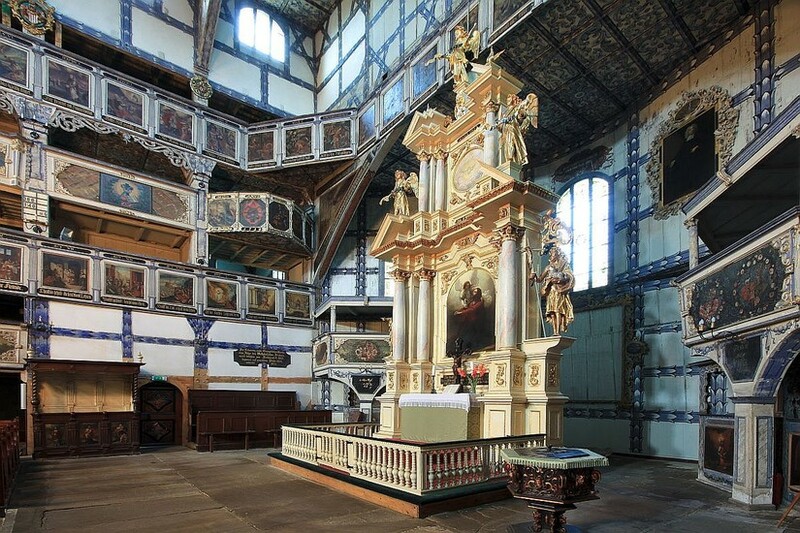 No restrictions, however, were placed on interior decoration (this is often thought to have been an oversight), and as a result the architect of the three churches, Albricht von Sabisch (1610-88) - as any jaw-dropped visitor to Świdnica or Jawor will testify - went seriously bananas. 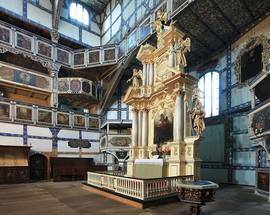 Both churches were later further embellished with towers and spires (by which time Silesia was firmly part of the very protestant Kingdom of Prussia), resulting in the extraordinary monuments we view today. 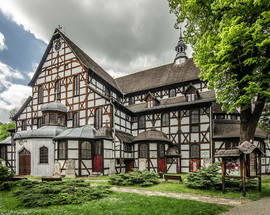 The first Church of Peace to be built was that at Głogów, 105 kilometres northwest of Wrocław, where work got under way in October 1651; the first service took place on October 25th 1652. The church was not lucky: it fell down in high winds in 1654, though was quickly rebuilt. It then burnt down in 1758 (local legend states it was struck by lightning) and was replaced by a brick church. A bomb destroyed that during World War II, leaving just a shell which was pulled down in the 1950s by Poland’s communist government. A sketch of the church (the only one in existence) can be seen in the similar-looking, though much smaller church in the village of Pogorzeliska, 40 kilometres south. Car is best to make the 60-70 km journey to these two locations, but getting there via public transportation is not inordinately difficult. Direct trains to Świdnica Miasto depart a few times per day from Wrocław Główny (the journey takes an hour and costs about 15zł), and you can also transfer at Jaworzyna Śląska, while Jawor is best reachable by bus (also about one hour and 15zł; buses run every hour or so). Świdnica and Jawor have direct bus and train connections with each other, with a journey time of 40 minutes to an hour. 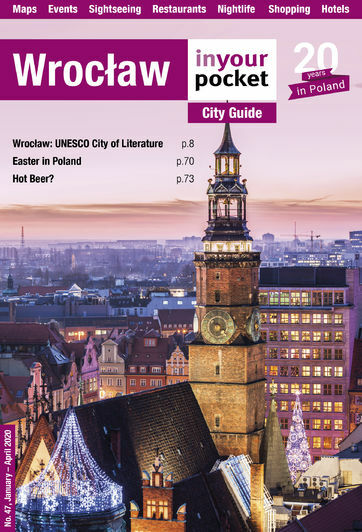 To plan your trip, head to the nifty website e-podroznik.pl, which takes the guesswork out of it. All in all, you should be able to easily visit both churches in one day.